UPDATE 2016: As of NOW, Paisa Hosting 2015 (which I described in this post) is closed. To get Free Hosting under Paisa Hosting 2016, contact me on Facebook. Remember Paisa Hosting 2016 is limited, and may not be available all the time, and has updated terms and conditions. Hello Everyone. Welcome to HiTricks: Learn Earn Gain…Its Fun! Today we will discuss how to get free web hosting and build your dream site without any hosting cost making you free from spending large amount of money for hosting purposes. Thanks to Paisa Swipe, a mobile lockscreen content discovery network, you can now avail free web hosting. You can get free access to cpanel and set up wordpress, or open a moodle and do anything you want. We will show you everything step by step, as promised. The aim of Paisa Swipe is to unite a better India where people can earn online not from given free money but from own big efforts. This time they are starting a big project aiming to make everyone a self-indepedent person. This mainly comprises of trainings and tutorials where they will teach how to run various kinds of websites and earn from it. It’s all starting with their free web hosting plan for indians. Indians always dream of having a website that has a profit of its own. To make it easier, Paisa Swipe is aiming to strip off the hosting costs to run the website. They are providing free hosting for Indians. What’s the benefit of getting Free Web Hosting? Well, it costs a lot of money to buy it. We often choose the free blogging alternative Blogger, from Google. But the added benefit of hosting is that you can not only run a blog, but can also run anything you want. You want an e-commerse website? You want a health hub? You want a classifieds website? It’s all can be done through web hosting. Web hosting maximizes the power of getting web-space and utilizing it in as many ways as you want. Is it free only for a year? Do I have to pay from next year onwards? We had a talk with them a week ago. According to that info, you need not pay for hosting even on your second year. The hosting is free for you, forever. It all starts with a free hosting. But you get a lot of more stuffs along with this. Firstly, you can run your blog inside paisa swipe network and gain traffic from paisa swipe. Secondly, you will get access to rich lessons provided from Paisa Swipe Team which will include some wonderful trainings. Thirdly, you will be joining a community of thousands of other paisa swipe users. Our big Paisa Swipe Community, called ” Paisa Swipe Users Union ” is live both on Paisa Swipe and on Facebook. How to get Free Web Hosting from Paisa Swipe? To get a free hosting, first buy a domain name of your own. Then send an email to [email protected] mentioning your domain url and stating that you want to start a blog and avail free hosting. You will soon get your cpanel logins via email. Remember, Paisa Swipe team is checking each email manually, so it may take some time to get your cpanel login details. Be patient, and wait till you get your logins. I already have a custom domain for my blog. Can I use that? Yes. You always can. But, there’s some preliminary steps to unlink the domain from blogger at first then approaching Paisa Swipe for hosting. That’s all. Here we attach the blog post from Jian Tam, the co-founder of Paisa Swipe, who is the man behind all these masterplans. He is a living inspiration to all of us, and hope you all will enjoy working with Paisa Swipe. Read about the free web-hosting plans that he announced and discussed the benefits as a paisa swipe member here: http://www.jiantam.com/the-paisa-academy-and-free-web-hosting/ We will keep you updating with further approachments of Paisa Swipe. 1. 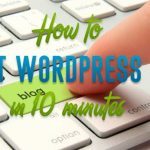 Step by Step Guide to set up WordPress and start Blogging. 2. 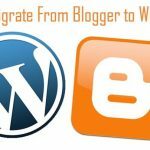 Step by step guide to migrate from Blogger to WordPress. 3. WordPress is your new home. Decorate it! We are beside you to assist you. 4. That’s not all, you need tools! What tools do you need to start blogging? So, that’s how to avail free web hosting from Paisa Swipe to start your blogging session. Thanks for reading. Keep visiting HiTricks. Please share our article if you like. This is the end of session 4 of our How to Blog sessions. Continue to session 5: How to set up your wordpress blog? or start from session 1: How to Blog? How I can Get this Hosting, Is It available for Forever ?? Have you tried this hosting personally? What do you say about this? Is free hosting still available ? I hosted my site on their servers but now my friends can’t find my site! It’s only visible to me. P.S : It is a wordpress site. What are the hosting configuration we get .. like bandwidth and all ?